Paul: Hello. My name is Paul Parisi, and I’m here with Taylor Robinson, the president of PLG Consulting. Hi, Taylor. Paul: So, PLG Consulting. What’s PLG mean? Taylor: Well, it’s had several meanings for its history. It was originally founded 17 years ago called Plastics Logistics Group, and the founder Graham Brisben was really catering to the chemical and plastics world and how to help logistic solutions, broad-based logistics solutions. Paul: Okay. Well, I understand the words. I understood plastics and group, what’s logistics? Taylor: Logistics is most efficiently moving stuff around, whether it’s products, materials. So it’s all about making more efficiency, lowering costs, improving cycle time, helping the customers make money in the areas that they operate. Paul: Okay, What type of companies? It doesn’t sound like a bakery, a small bakery would use your services. So it’s got to be some level of company. I’m trying to understand sort of where the market segment is and what kind of companies you work with. So you’re providing logistic services. So let’s dig into that. What does that mean? So just one example. Taylor: Yeah. We provide logistics consulting. So we don’t help someone operate better, we don’t do it for them. We show them improvements in their efficiency. We help them get there so that they can then operate better on their own. So we’re coming in, working normally for a limited amount of time to provide them knowledge, capabilities, a path forward that’s going to help them get better. Paul: Okay. So let’s pick an example, not an exact company, but what’s a company that you’ve done this kind of work for? Is it a… I don’t know. Taylor: Yeah. The best way to describe it is any type of company that’s going to move bulk product. Paul: Okay. What’s bulk product? Paul: That is logistics, though. Taylor: That is logistics, and I’m sure we can help most companies, consumer goods companies or something like that. But our specialty is industrial companies that move big products in big things. Think a big ship on the ocean full of bulk product or containerized product. Paul: So wait a minute. You said containerized. What does that mean? Paul: Like a shipping container? Paul: Like the back of a truck? Taylor: Certainly. Yeah, so our bulk logistics means we can help people move things. Usually it’s not as expensive of a product. The logistics is extremely important because moving heavy material around is very expensive compared to the product. So think of sand or cement. The cost of that material is extremely low, but you still have to pay someone to move it around. So you have to be extremely competitive on your logistics in these type of commodities. So in some cases, the cost of moving the product is worth way more than the product. Paul: Oh. Interesting. So let’s talk about that with sand. Let’s say you need it. You had a business that was building something. They use sand in building, I guess? Is that true? So how much does a…? Is it a container of sand? 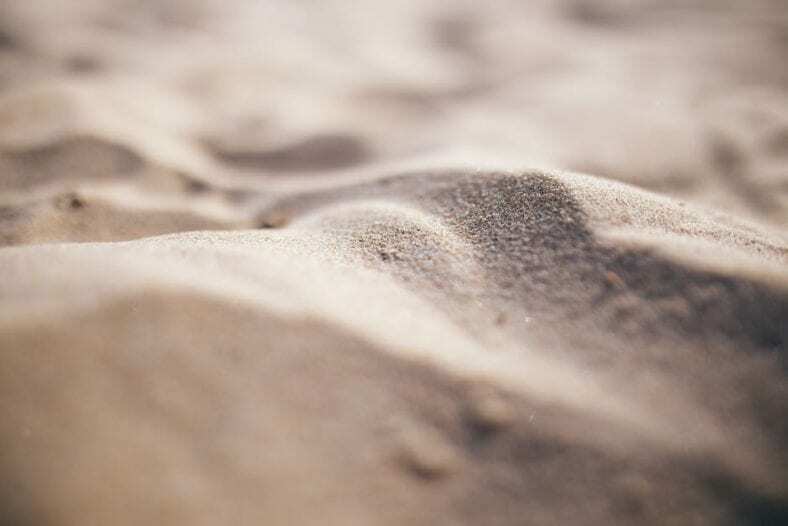 How do you… It’s the unit of measure for moving sand? Taylor: Yeah. So, you know, back to kind of bulk. It’s usually moved by a ship, some sort of marine vessel, a truck, or rail, or a pipeline. So usually, you have four options for many of these products. Others you have one or two. So our job is to bring those experts that have moved that product. They understand the characteristics of it. Or they know how to move a like product, and they know how to give the customer more options. Taylor: More options, more competitive ways to do it, taking the price down, taking the cost down. So, you know, people have moved their product for dozens of years but they may have done it the same way, and they haven’t thought of outside ideas. So many times, we bring outside ideas or expertise that the client may not have yet. Paul: Because it’s not their business, really. I mean, they’re building. They’re building stuff. Taylor: Yeah. But they need to be logistics experts. Taylor: So we help them kind of get jumpstarted with good ideas and then here’s how you can do it so that they can build their own capability to be more successful. Paul: Okay. Well let me go down a road here of a scenario. I have no idea. So just pick in your mind — I don’t care about a company — but a job that uses a lot of sand. So what’s a train car of sand cost? Just a wild guess. I mean, you’re going to be more informed than I am, certainly. Taylor: Yeah. So just say roughly it’s going to hold about 50 tons of sand. In high volume they’ll pay $35, $40 a ton. Paul: —for a train car of sand. And the typical user of sand doesn’t order one train car. How much do they order? Do they order a hundred or is it million or ten? Taylor: Yeah. In the world of frac sand, which is by far the biggest sand world now, around hydraulic fracturing, they use large amounts of sand. On average, a well now is about 55 railcars per well. Paul: Okay. So 55 times $200,000. That’s five time $10 million? Taylor: A million dollars. Yeah, a million dollars’ worth of sand. Paul: Just sand. But you’re saying that the movement of the sand is actually more expensive than the sand. Taylor: Yeah. The movement of the sand will be about 75% of the cost of the total delivered cost. Paul: Wow. So if it’s a million dollars, it’s going to cost them a million and a half to move it. Paul: Okay. So how often does this happen, that they use a million dollars’ worth of sand? Is this happening every day? Is this something that’s an outlier? Because I mean, as a normal person — you know, walking the street, getting up, going to work, driving my car, playing with the kids, etc. — I don’t think in those numbers. I just don’t experience the world in those numbers. You know, I buy a loaf of bread. I don’t buy a train car of flour. So is this…? Is that saying that this company A is using a million dollars’ worth of sand, does that happen once a month? Once a year? Once a day? What’s the magnitude? Taylor: This year, probably for fracking, they will use 60 to 70 million tons. Paul: 60 to 70 million tons. And how much do they use on one? Paul: And each one of them is using a trainload of sand. Taylor: Well, a half trainload. Yeah. Taylor: Yeah. But they have some that have used two and a half trainloads of sand in one well. So there’s a range, and this is one of the key enablers to get lower and lower cost oil and natural gas. So it’s become an amazing growth story because it’s cheap. It is easily available. It’s really cheap. Taylor: Yes. But to get it there is not. Paul: Okay. So, well, I guess that’s some of the things. We don’t really, as consumers, understand what goes into getting our products to our table or in our pockets with our phones, or whatever it might be. And so we’re sort of peeling the onion back here, and we’re seeing that you’re telling me, particular frac sand or that particular thing, they’re using all of this sand. And I could say, “Well, I could shovel it.” No, you can’t shovel that much sand, you know. So it’s a magnitude of logistics that’s huge in comparison to our daily lives. So I’m starting to get a sense here of… Well you said it’s a million dollars’ worth of sand costs one and a half million dollars to move. So it’s wise for me to pay attention to that one and a half million dollars. It’s hard for me to comprehend it, but the companies are doing that. Now that’s not the only thing they move. They move lots of other things, so it’s not just sand. Now PLG you said, was in plastics. Paul: Originally. So what were you moving then? Was it chemicals? Taylor: So, before you have a pressed plastic product, it usually comes from a pellet that gets melted down and made into that packaging material or the product. So that’s how PLG got started was moving these pellets around and, again, helping people be more efficient in distributing pellets to their customers throughout the country and exporting and importing. Paul: So it’s not like you decide you’re going to make a new widget and you say I’m going to order the plastic via UPS because it’s just sheer volume. So I think that’s an important thing to pull out here, is there is a whole segment of the economy that we don’t really have good touch with. We’re not in touch with that big world, where they order a trainload of stuff. I just can’t comprehend that. I have a hard time going into Costco and buying the big amount there because I’m not going to use that much. You’re saying we’re really several magnitudes, maybe even a hundred magnitudes larger than what a normal person consumes. And so you’ve got a company that’s good at making plastic widgets, whatever it might be. And they’re realizing that — oh, my gosh — it cost me a million dollars to buy the plastic, but it cost a million and a half to move it, so I need somebody to help figure that out, who knows all the shortcuts. Is that where you guys come in? Taylor: Yeah. We probably get in one step earlier in the chain. Whoever is either manufacturing or distributing that plastic, they’re responsible to have it competitively to the person that’s going to use it. So it’s their job to get it there as efficiently, to keep their costs down, to be competitive in the market. So we’ll help those people that distribute it or produce it. And to help you get back to the magnitude of the volume, you’re talking 20, 30, 35 million tons a year of one grade of plastic is used in the polyethylene alone. Just one grade of plastic, polyethylene. Paul: Wow. I’m just a little over—. You said 35 million? Paul: Tons. And how big is a ton? Is it like a train car or is it…? How much physical space would that take up? Taylor: So a train car full, a big hopper car full it’s going to weigh, I think, in the neighborhood of 50 to 60 tons. Paul: So a million of those. Well, maybe 700,000 of those train cars. Paul: And that’s just one type of plastic. Taylor: Yeah. That’s one type. Paul: And how many types of plastic are there in that magnitude? Taylor: Dozens. It’s by far the largest in the world — polyethylene, used in packaging and bags. Paul: But it could be — just a back of the napkin — it could be several hundred million tons of plastic all in, all of the plastic in the world that’s used. Taylor: Yeah. So again, that’s where we got started with moving bulk material. Again, you see the theme of bulk. It’s much more efficient to move it in a railcar versus in bags. Now there is a plastics company — small, niche plastics company — that buys it in 24 kilogram bags of 60 pounds. Their competitor, though, might buy 10 railcars at a time. Paul: Okay. So they’re going to get a cheaper price. What’s the magnitude of price change there. So let’s say if a bag… How much does a bag cost, the 60 pounds? Is a $100 or $10 or a dollar? Taylor: Yeah. A hundred dollars. Paul: Okay. So how much would that cost if I bought it in the rain car quantity? Taylor: That same volume? Yeah, it might be 80. Paul: Okay. So 20 dollars, 20% discount? Taylor: Yeah. It could be. Yeah. Paul: So now, if I’m that business, I’ve got a 20% benefit. Taylor: It’s the delivered cost. Including everything it’s going to be, 10, 20% cheaper. And it’s mostly the pushing a whole railcar in versus lots of bags shipped around, handled. So again, it’s all about scale. It’s about efficient moving. It’s making sure you’ve got the right supply chain set up so you’re most efficient. Paul: So it sounds like we use lots of stuff. I mean, our consumer world and just we consume lots of stuff. It’s just hard to get your head around using that many trainloads of plastic, you know. What are they making? We’re sitting here. We have phones, and there’s plastic in there, and there’s plastic in our computers and plastic in our packaging and all that. So, it adds up quickly. Taylor: You think about plastic packaging alone. Go to the grocery store. Nearly everything you see in there is some sort of plastic now. You know, it used to be paper. It used to be metal cans. It used to be… It’s nearly all plastic now. It’s probably a graded polyethylene or some other more specialized grade. But you look at a store. Just think about how, if you could just pile up all that plastic. Paul: Right. Yeah, that would be fascinating. Taylor: Yeah. It’s all around you, but you don’t realize it. So as you can imagine, plastics… part of globalization is making it plastic because as people urbanize, they used to have their pot sitting there, and the food was there. Now they have to get it on the go. They’re working in the city. They’ve moved to the city. It’s got to be held by plastic. So that urbanization and globalization is making plastic continue to grow. In North America, we use about the same as we did last year. It might go up two percent. But in the developing world, it might go up. In India it might be eight, ten percent growth a year. Paul: Wow. Okay. So now, do you guys… I mean, this plastic that they’re buying, they have options, I imagine, for recycled and not recycled. Paul: So you’re just trying to figure out how to most efficiently get it there. Taylor: Yeah. The version material. Get the high-grade material wherever. This polyethylene story, it’s quite interesting because our low-cost natural gas enables the United States to be globally competitive. Paul: In, in natural gas? Or in what? Taylor: In natural gas, which then becomes these plastic materials. They’ve refined it and made it into polyethylene. We have world-class prices now because of our low-cost gas. Right now, we export about two million tons a year — just polyethylene — all over the world. That could grow to seven, eight, nine million tons over the next 10 years. Paul: Where are those countries, those people in other countries get it if we weren’t here? Taylor: They have some made there. The Middle East is a huge producer because of their low-cost feedstock. And it’s a vast network throughout the world. But we’re going to win because we have low-cost, and we’re going to go from, like I said, two and a half to, say, seven and a half. We’re going to triple that over the next 10 years. And it’s mainly needed in Asia because Asia doesn’t have low-cost feedstock like we do, and they’re urbanizing which drives volume. Paul: Right. So I need a cup to hold the coffee as I’m walking from my house to…or getting off the train going to my office, I need a plastic cup to hold the coffee. Is that sort of the urbanization? Taylor: Yeah. Or you know, your breakfast on the go. It’s in a plastic package. Paul: Interesting, as opposed to having eaten at home or having drank out of a ceramic cup at home and stuff like that. Paul: So let’s think about this. There seems like there’s this other world going on that I didn’t really know about of all of this moving millions of tons of stuff. I don’t even see it, but I don’t even…I can’t even perceive it, and it’s directly related to my supermarket where I go in and everything is packaged in plastic. So are there other areas besides plastic that… I mean, we talked about sand and plastic. What other bulk things are there? Taylor: The lots of energy-related products. Coal. Coal is heavily logistics. Very cheap. More, expensive to move it. Forest products to make paper, which is, of course, all around us. That paper product has to have been a wood product, processed and moved. Again, how? Low cost. Low-cost material. Paul: Is this a thought in the industry: Let’s make the paper where the trees are? Taylor: Of course, yeah. There’s more mills in the southeast US than anywhere. Paul: I see. Okay. And the same thing with plastic is I’m going to make the plastic where the oil is, I guess? Taylor: Yeah. Gas. The gas has come. And the Gulf Coast, especially Texas and Louisiana probably has 75 to 80 percent of the petrochemicals in the country are made there and therefore distributed across North America via rail because it’s the most efficient way to move these somewhat low-value products a long distance. Paul: Okay. Well, we’ve been talking with Taylor Robinson, President of PLG Consulting, experts in bulk logistics. And it’s fascinating that there’s this whole sub culture, if you will, of the way things are moving, and it’s part of the breath of the country. It’s fascinating!